Below is an expanded version of an article published in print and online by The Canberra Times on 28 January 2019. Making a career in the arts, particularly in dance, is not an easy pathway. It requires skill and discipline, both a flexible body and a flexible mind, determination and a great deal of audacity. One needs to be ‘bold’. In its extensive program of talks, film showings, workshops and performances, BOLD II will focus on the legacy and heritage of dance in Australia and elsewhere, but will also have a strong focus on diversity of practice and issues of gender and ethnicity. Even if I am on stage by myself, as an artist, I am never truly alone as I am bound to bring my family, my peers and mentors to work with me. In this piece, I decided to place the usual behind-the-scenes action of the indigenous arts making process front and centre. Another indigenous performer we can look forward to seeing is violinist Eric Avery, who may be remembered as the musician who played violin for Lea’s earlier work made with Tammi Gissell, Magnificus, magnificus. Avery, who also dances with Marrugeku, a company operating between Broome in Western Australia and Carriageworks in Sydney, will amongst other activities, lead a dance through Parliament House, creating choreography while playing live. Not all performances will take place in theatre venues. In addition to Avery’s activities at Parliament House, there will be performances at the National Portrait Gallery (as happened in 2017), and several performances will take place at lunchtime on the podium outside the National Library. 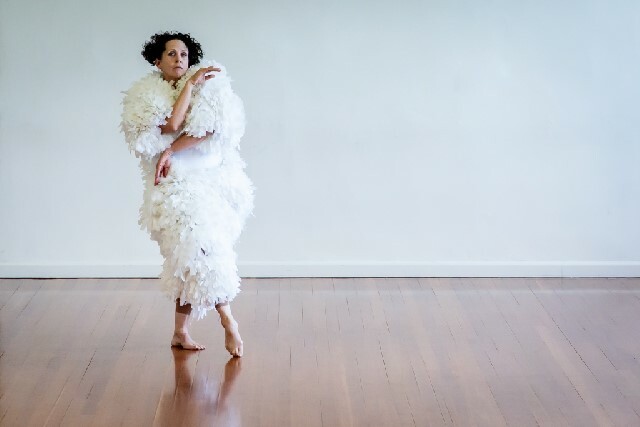 On March 14 Katrina Rank, who in 2018 was the recipient of an Australian Dance Award for Services to Dance, will perform her solo, Birdwatching. 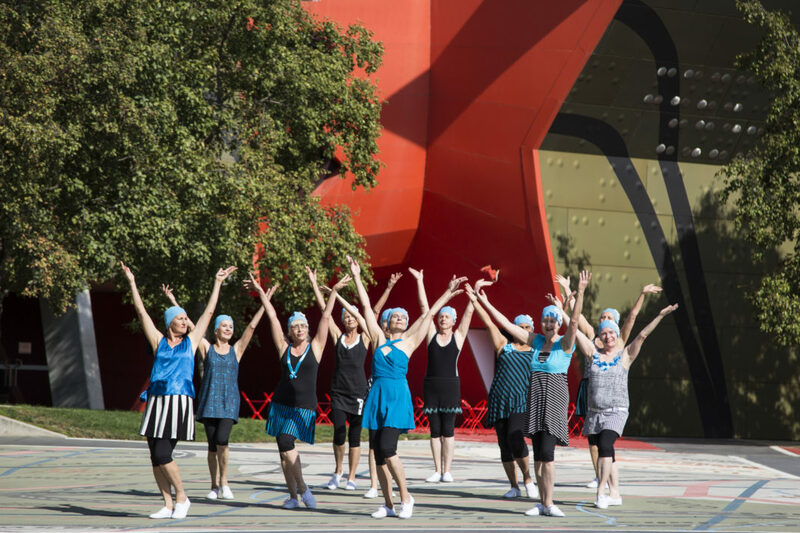 On the following day Canberra’s senior ensemble, the GOLDS, will also be on the podium performing Annette from Lea’s collaborative and award-winning work Great Sport! . It was an outdoor festival with the theme of Gods and Goddesses. It rained and there were umbrellas everywhere, even on top of lights. But it was extraordinary. I wanted to bring so many of the dancers to Australia for BOLD but in the end was only able to bring Hadiprayitno. 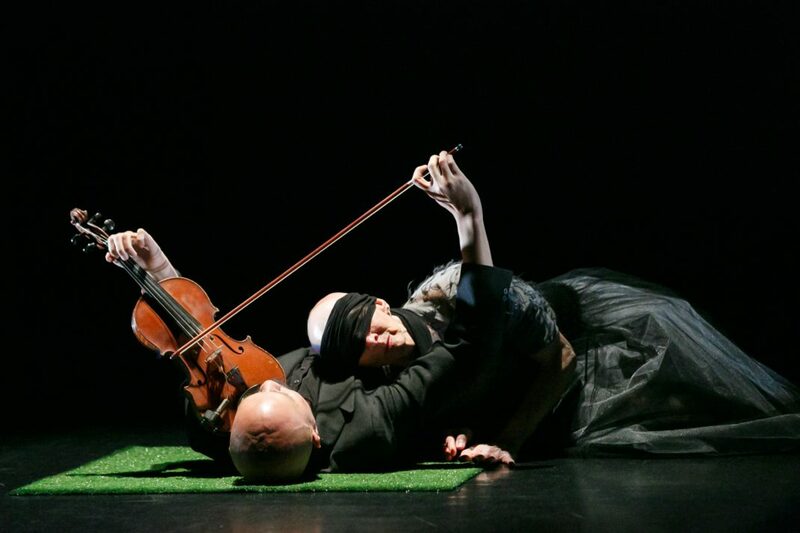 Also coming from Asia, this time from Singapore, is violinist, Kailin Yong, whom many in Canberra will remember from last year’s 40th anniversary performance by Canberra Dance Theatre when he performed with Anca Frankenhaeuser in MIST. For BOLD II Yong will be bringing along his wife and young child, who will feature in a trio that ex-Canberran Stephanie Burridge is creating on the family. Yong is also composing new music for a solo for Frankenhaeuser, and another Canberra-based dancer, Debora di Centa, will also perform with Yong as accompanist. Former Canberrans will also feature throughout the festival. 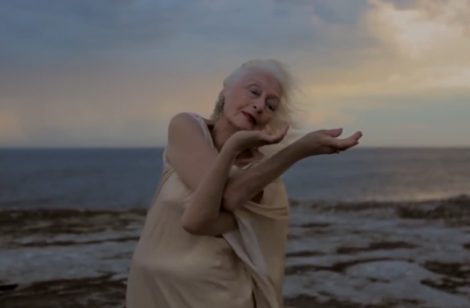 Sue Healey, who led a dance company, Vis-à-vis Dance Canberra, for several years in the 1990s, and who has since made a career as an award-winning film maker, will show a selection of her most recent short films at the National Film and Sound Archive on March 15. They include selections from En route, a film made as part of a public art installation project for Wynyard railway station in Sydney. En route was shot at various disused stations and railway lines across New South Wales and features several performers with Canberra connections including James Batchelor and Elizabeth Cameron Dalman, Dalman will also feature in others of Healey’s films including in Weerewa, a collaborative venture with the Taiwanese group Danceology. 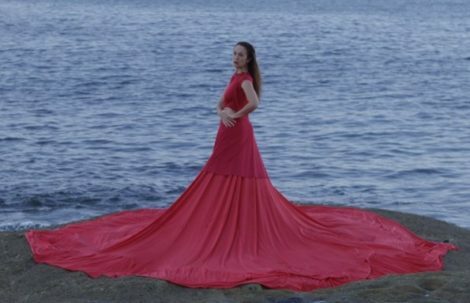 Paige Gordon, whose company Paige Gordon and Performance Group was also a significant force in Canberra in the 1990s, will speak at the festival. Her talk goes back to a moving work she made in Canberra called Shed. A place where men can dance. The reaction to Shed inspired Gordon’s current path of working with people across the community, and helping them to move and be moved by dance. She was a feisty woman. I first saw her work in the 1990s and was impressed by the way she was promoting gender equality and working in non-traditional spaces. She contacted me just before she died and I was moved that she had done that. She was a bold artist and I wanted to honour her. This year the BOLD lecture will be delivered by Claire Hicks, director of Critical Path the Sydney-based organisation fostering choreographic research and development. Other keynote speakers for 2019 are Karen Gallagher, Padma Menon and Marilyn Miller. Perhaps what is most interesting for Canberra audiences is the way BOLD II will reflect the legacy of Canberra dance over several decades. And as we look at the past, we can also see a future. The finale to BOLD II, however, will be less about dance and more about what Canberra has to offer visitors. On Sunday March 17 the BOLD Balloon Breakfast will take place with participants watching the launch of hot air balloons at the Canberra Balloon Spectacular. The breakfast will be followed later that morning by JUICE, a closing performance by the Canberra group Somebody’s Aunt at McKellar Ridge Wines at Murrumbateman. A wine tasting will follow. A schedule of events (subject to change according to injuries and other matters that inevitably affect dance artists) is available on the BOLD website . It indicates the many artists and speakers from Australia and across the world who have not been specifically mentioned here. Registrations are now open. Below is a slightly expanded version of my year-ender for The Canberra Times published as ‘State of dance impressive and varied’ on 24 December 2018. I should add that The Canberra Times‘ arts writers/reviewers are asked to choose five productions only for their year-ender story. Looking back at 2018 I find, thankfully, that I don’t have to complain too much about the state of dance in the ACT. In 2018, in addition to work from a variety of local companies and project-based groups, dance audiences in Canberra were treated to visits from the Australian Ballet, the Australian Ballet School, Australian Dance Theatre, Bangarra Dance Theatre, the Farm and Sydney Dance Company. 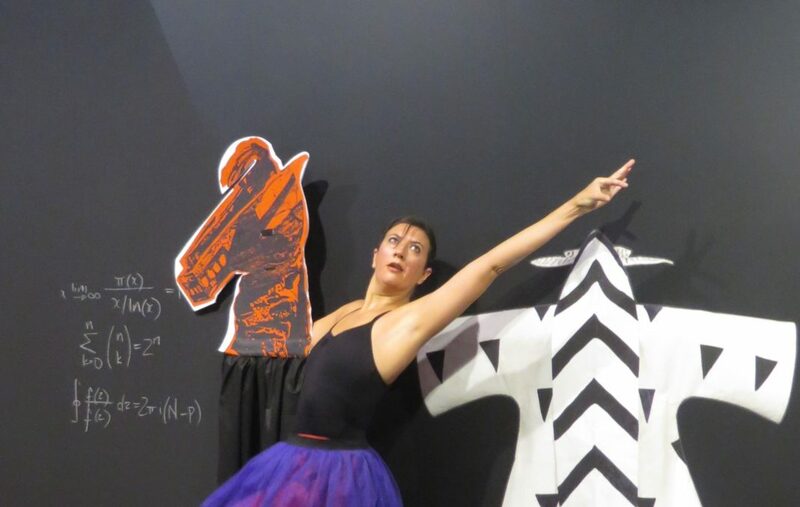 Most performances were in traditional venues, but one or two were site specific (notably Australian Dance Party’s production of Energeia performed at the Mount Majura Solar Farm) and, in addition, the National Portrait Gallery and the National Gallery of Australia offered their venues for dance performances. Beyond performance, it was exceptional news that Rafael Bonachela, artistic director of Sydney Dance Company, had agreed to become a patron of QL2 Dance, Canberra’s youth organisation. In a casual conversation with me he mentioned that he had always been impressed with those ex-QL2 dancers who had gone on to perform with Sydney Dance Company and also that he regretted that he had not had a strong mentor himself during his early training. Both thoughts fed into his decision to take on the role of patron. I have arranged my top five events chronologically according to the month in which they were performed. In March Liz Lea presented RED, a work that won her a Canberra Critics’ Circle Award later in the year. It was a powerful, courageous, autobiographical work that touched on Lea’s struggle throughout her career with endometriosis. But beyond that it was distinguished by outstanding choreography from four creators, all of whom highlighted Lea’s particular strengths as a dancer. In addition to Lea herself, choreographic input came from Vicki van Hout, Virginia Ferris and Martin del Amo. There was also stunning lighting by Karen Norris; a range of film clips that added context throughout; and strong dramaturgy by Brian Lucas, which gave coherence and clarity to the overall concept. It was a highly theatrical show, which also presented a very human, very moving message. In June Australian Dance Theatre returned to the national capital after an absence of more than a decade. The Beginning of Nature, choreographed by artistic director Garry Stewart, focused on the varied rhythms of nature. It was compelling and engrossing to watch. The dancers seemed to defy gravity at times and their extreme physicality was breathtaking. 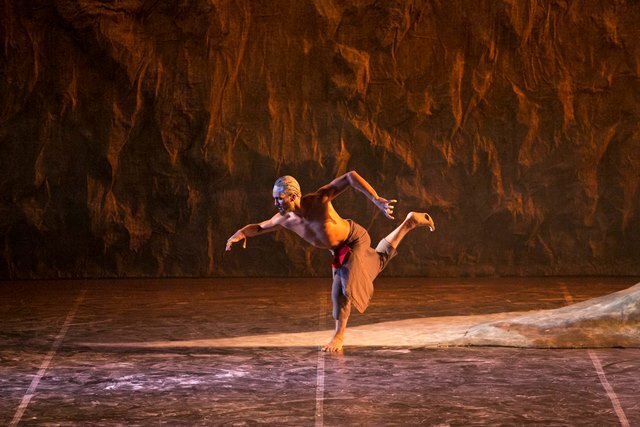 But the work was also an outstanding example of collaboration between Stewart, his dancers, an indigenous consultant familiar with the almost-extinct Kaurna language of the Adelaide Hills, and composer Brendan Woithe, who created a remarkable score played live onstage by a string quartet. The Farm, featuring performers Gavin Webber and Joshua Thomson, arrived In September with Cockfight. 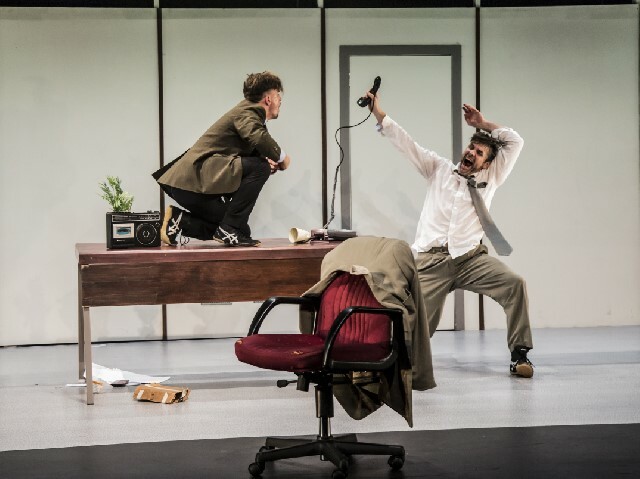 Set in an office situation, and dealing with interpersonal relations within that environment, Cockfight was an exceptional example of physical theatre. Both Webber and Thomson gave riveting performances and the work presented a wide range of ideas and concepts, some filled with psychological drama, others overflowing with humour. It was totally absorbing from beginning to end. This Canberra-only event early in October showcased a range of outstanding dancers from across the world in a program of solos and duets, mostly from well-known works from the international ballet repertoire. It belongs in the list of my dance picks for 2018 on the one hand because the artists showed us some spectacular dancing. But it also belongs here because Bravissimo Productions (a newly established Canberra-based production company) had the courage to take on the task of defying convention and certain ingrained ideas about Canberra, including the perceived notion that Canberra equals Parliament and the Public Service and little else, and the constant complaints about performing spaces in the city. Bravissimo brought superstars of the ballet world not to Sydney or Melbourne or Brisbane, but to Canberra. The international stars that came were not the worn-out, about-to-retire dancers we so often see here from Russian ballet companies, but stars of today. I hope Bravissimo Productions can keep it up. Canberra is waiting. MIST was the standout performance of the year for me. It was one item in Canberra Dance Theatre’s 40th anniversary production Happiness is…, which took the stage in mid October. As a whole, Happiness is… was somewhat uneven in the quality of its choreography and performance, but MIST, listed as a duet in the form of a pas de deux between a dancer and a musician, was simply sensational. 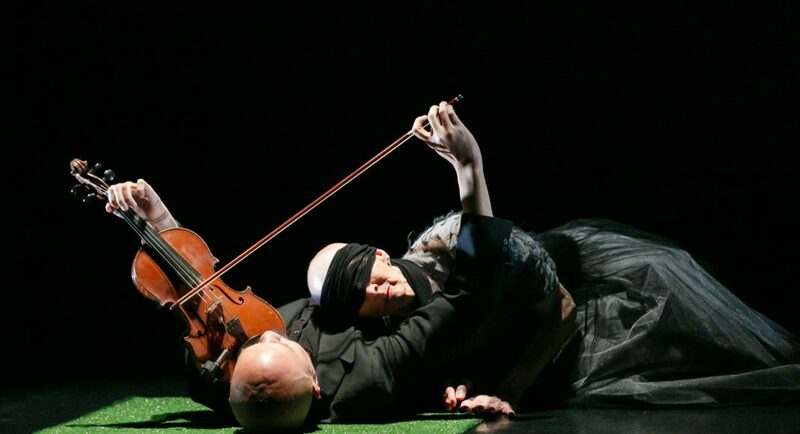 And it really was a pas de deux with violinist Kailin Yong moving around the stage, and even lying down at times as he played and improvised, and with dancer Anca Frankenhaeuser involving herself with his playing in a way that I have never seen anywhere before. With choreography by Stephanie Burridge, an ex-Canberran now living in Singapore, it also carried an underlying theme about relationships between people. It was an exceptional concept from Burridge, beautifully realised by Frankenhaeuser and Yong. I hope we can keep moving forward in Canberra in 2019 with dance that is inclusive and collaborative, and also theatrically and intellectually satisfying. A varied program of dance in 2018 showed us the possibilities. I had the good fortune to see quite a lot of dance outside of Canberra including in Sydney, Melbourne and Brisbane as well as outside of Australia in London and, briefly, in Wellington, New Zealand. Leaving London and Wellington aside since I am focusing on dance seen in Australia, the standout show for me was the La Scala production of Don Quixote, staged in Brisbane as part of Queensland’s outstanding initiative, its International Series. Apart from some seriously beautiful dancing, especially from the corps de ballet who seemed to understand perfectly how to move in unison (even in counterpoint) and how to be aware of fellow dancers, I loved that extreme pantomime was left out. As I wrote in my review it was a treat to see a Don Quixote who actually presented himself as a quixotic person rather than a panto character. I was also intrigued by Greg Horsman’s new take on La Bayadère for Queensland Ballet. Horsman set his version in India during the British occupation. The story was cleverly reimagined and beautifully redesigned by Gary Harris, yet it managed to retain the essence of the narrative and, in fact, the story was quite gripping as it sped along. But for me the standout production/performance from outside Canberra was Alice Topp’s Aurum for the Australian Ballet and performed in their Verve season in Melbourne. It was filled with emotion from beginning to end, sometimes overwhelmingly so. In one section it had the audience so involved that all we could do was shout and cheer with excitement. Choreographically it was quite startling, moving as it did from surging, swooping movement to a final peaceful, but stunningly realised resolution. A real show-stopper. May we have more great dance in 2019! The Australian Ballet recently announced that corps de ballet dancer Mason Lovegrove (pictured above) had received the Walter Bourke Award. The prize, which was established in 2005, is named for former Australian Ballet dancer Walter Bourke, and is not awarded annually but on merit. It is to be used specifically to fund a dancer’s professional development on the world stage. 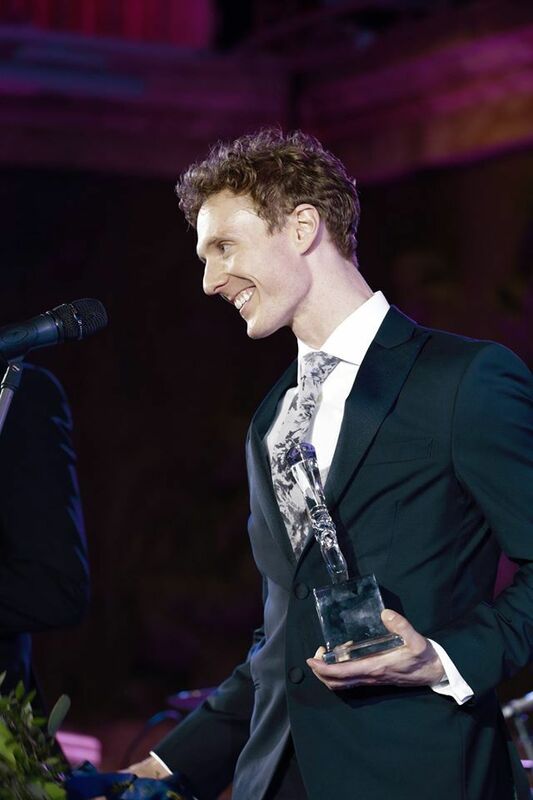 Lovegrove plans to use his award to spend time with Houston Ballet, American Ballet Theatre, New York City Ballet, Royal Swedish Ballet, the Royal Ballet, English National Ballet and Berlin’s Staatsballett. Meet Mason Lovegrove via the Australian Ballet’s site. Liz Lea’s documentary On the trail of Ruth St Denis will have its premiere screening in Canberra on 20 July at the National Film and Sound Archive’s Arc Cinema. A sneak preview that I had recently reveals a fascinating glimpse of ‘Ruthie’ as she was known, along with a just-as-fascinating glimpse of Lea and her work. Lea will also perform live as part of the event. She will dance The Cobras, a work created by Ruth St Denis in 1906 and as yet never seen in Australia. Ruth St. Denis in The Cobras, Jerome Robbins Dance Division. The New York Public Library Digital Collections, 1906. 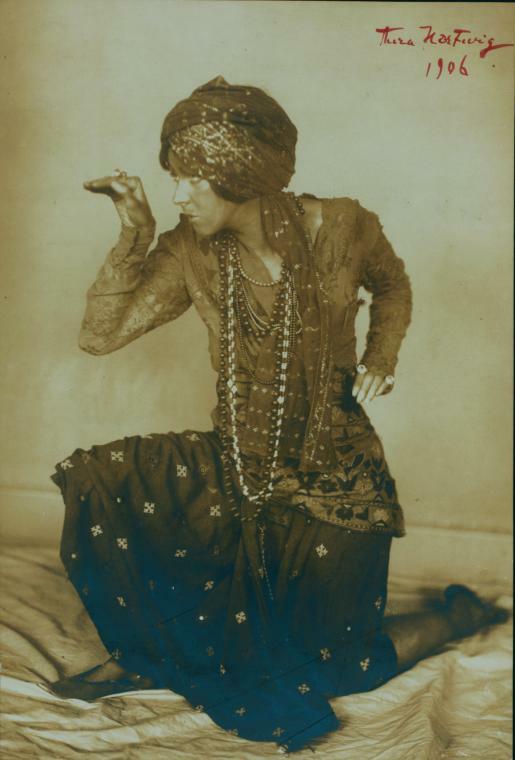 On the trail of Ruth St Denis was filmed in India in Agra, Amritsar, Kanpur, Kolkata, Lucknow, Mumbai, New Delhi and Varanasi, as well as in Scotland, England and Kuwait. Further details of the documentary are at this link, while further details of the NFSA screening are at this link. In August the National Gallery of Australia will open an exhibition, American Masters, with works drawn from the Gallery’s extensive collection of American art from the 1940s to the 1980s. It was a time in the United States when Merce Cunningham, and his collaborators across art forms, were experimenting with new ways of making dance and, as an adjunct to the exhibition, and with support from the Embassy of the United States of America, the Gallery is hosting a two-week residency for three independent contemporary dance artists (yet to be appointed). The program will be led by former Cunningham dancer Jamie Scott who will remount a range of Cunningham solos, duets and trios on these dancers. A number of public performances will be staged at the end of the residency period. More later. ‘Exploring rhythms of nature.’ Review of Australian Dance Theatre’s The beginning of nature. The Canberra Times, 18 June 2018, p. 20. Online version. 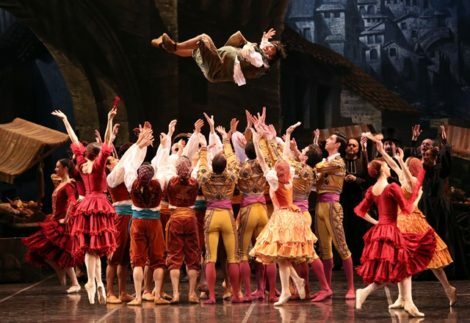 Queensland has scored another coup in its QPAC International Series with La Scala Ballet from Milan to perform in Brisbane in November 2018. The company will perform two works, Don Quixote (Nureyev production) and Giselle. Further details at this link. 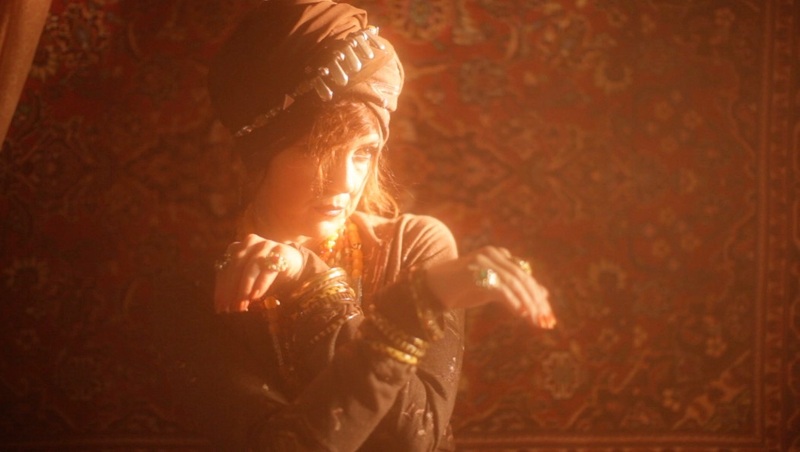 Liz Lea’s film that follows the trail of Ruth St Denis and others in India in the early part of last century is due for its first screening later this year. Follow this link to my previous post about this venture and stay tuned for further news. An exhibition of Sue Healey’s dance films will be on show in Melbourne from 13–28 April at the Margaret Lawrence Gallery, Dodds Street, Melbourne (VCA). It is in celebration of the 40th anniversary of VCA Dance and will feature films relating to the careers of Lucette Aldous, Nanette Hassall and Shirley McKechnie, former teachers at the College, and recent graduates Shona Erskine, Benjamin Hancock and James Batchelor. ‘Emotional power charges an astonishing work.’ Review of RED by Liz Lea. The Canberra Times, 12 March 2018, p. 20. Online version. What follows is a slightly expanded version of my review for The Canberra Times of Liz Lea’s RED. A link to the online version of The Canberra Times‘ review is at the end of this post. The print version will appear next week. The pre-show media for Liz Lea’s new work RED prepared us to expect something a little extraordinary, something a bit bawdy, something with adult themes, something fierce and fractious, perhaps something that was even a bit funny, but definitely something confronting. And yes, it was all of those things. But nothing, nothing at all, prepared us for the emotional power that coursed through RED, and for the brilliantly coherent manner in which the show drew its diverse sections together. And nothing prepared us for the courage and dignity with which Lea put her life before us, her life as a dancer who has battled endometriosis throughout her career. RED was a multi-media experience. 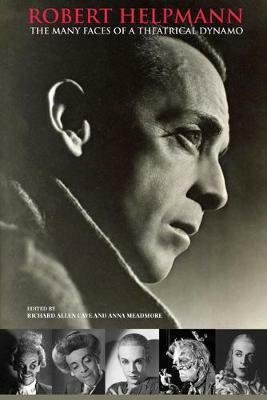 It began with a film clip of a young girl crossing a white bridge; the sound of a counter tenor singing that exquisitely melancholic aria ‘What is life to me without thee’ from Gluck’s opera Orfeo ed Euridice; and a voice over that began with the words ‘She thought she could have it all.’ That voice returned throughout the work. It was a doctor explaining the nature of the illness from which Lea suffered, and the procedures that she had to endure. I am told that the voice of the doctor was that of Brian Lucas, the dramaturg and Lea’s mentor for the production. Film clips from cinematographer Nino Tamburri also returned from time to time, and Lea talked about her career. Her conversation focused largely on how she managed her condition, but also went right back to her experiences as a thirteen year old dancer. Of course she also danced throughout the hour-long show. The dancing segments were fast and forceful at times, full of theatrical extravaganza at others. It was easy to see in the choreography, from three choreographers (Vicki van Hout, Virginia Ferris and Martin del Amo) in addition to Lea, the styles with which Lea is most familiar—hints of Indian dance moves, suggestions of martial arts, and a fabulous, stunningly lit showgirl routine, choreographed by Ferris and lit by Karen Norris, with feathers (red of course), fans and sequins. Then there was a ‘codeine nightmare’ when Lea was joined by several older dancers dressed in black (the women mostly with added sparkles to their dresses) who danced with and for her and helped her live out the experience of having to manage excessive pain. But it was the ending that reduced me to tears. That incredible Gluck aria returned and Lea, now dressed in a tight, short, black number with high-heeled black patent leather shoes (with red soles), hair pulled back, and looking superbly elegant and glamorous, stood before us. She scarcely moved at first, but slowly her arms began a dance that gathered momentum and seemed to promise a future full of hope. Her limbs stretched this way and that, lyrical, questioning, wondering, and in the very last moment a shower of shiny, red “snowflakes” fell from above. The choreography for this last section was by Martin del Amo. Its simplicity was striking but it was also a breathtaking finale for all that it looked back on, and all that it promised. RED was a truly remarkable piece of dance theatre with the coherence that only exceptional dramaturgy can achieve. Every aspect of the production was astonishing, but standing out was the power of dance, and the wider multi-media context in which it can and did fit, to transmit a diverse and very human message, and to do so with such emotion and such clarity. As for Lea, how courageous, how remarkable can one artist be? Brava! Here is the link to the online article in The Canberra Times. 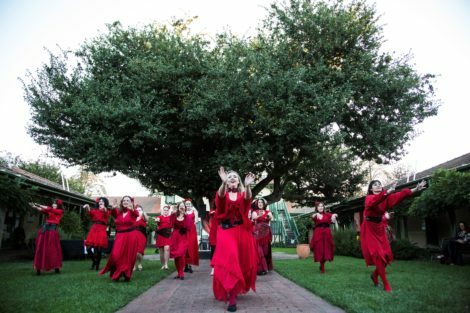 RED was launched prior to its opening night performance in one of the courtyards of Gorman Arts Centre. It was a beautiful, clear, not-too-cold night and Gorman was alive. The show was launched by the ACT Minister for the Arts, Gordon Ramsay, and his launch speech was preceded by comments from artistic director of QL2, Ruth Osborne, and Gai Brodtmann, Member for Canberra in the Federal House of Representatives. We were also treated to a performance by the ‘wuthering’ ladies and gentlemen of Canberra who danced to Kate Bush’s 1970s song Wuthering Heights. 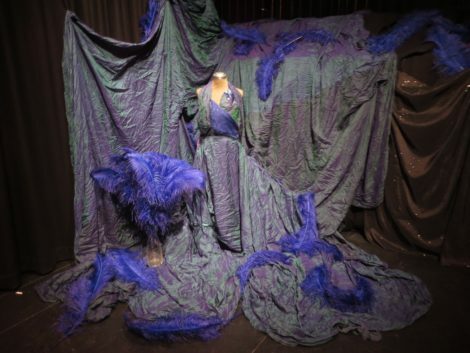 Also on display in one of the studios of Gorman was a collection of costumes from Liz Lea’s collection covering her productions over the past 20 years, including the costume for her solo work Bluebird. Since its premiere in London in 2005, Lea’s Bluebird has been performed across the world, with its first Australian showing taking place at the Choreographic Centre, Canberra, in 2006. It took me a while to work out what the ‘some’ in this very brave and beautiful work meant. 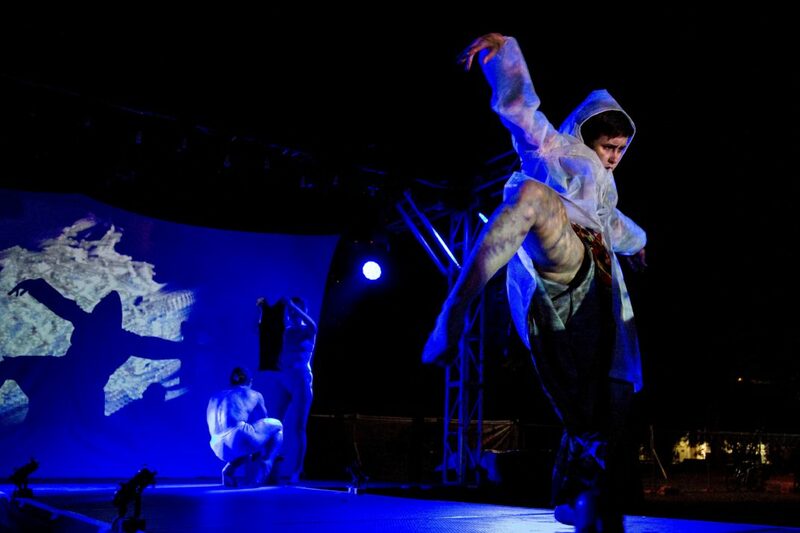 It premiered a few months ago as part of Escalate II, an Ausdance ACT mentoring program. I didn’t see it then but kept noticing that the ‘some’ of the title was occasionally written with an apostrophe before it, but at other times without. As one watches the work, however, which I finally had the pleasure of doing, it is perfectly obvious that the ‘some’ should indeed have an apostrophe before it. It stands for the last syllable of ‘chromosome’. The work is performed by Liz Lea and Katie Senior and, as a person with Down Syndrome, Katie Senior carries an extra chromosome in her genetic makeup. Lea is a wonderfully creative and theatrical director/choreographer and in That extra ‘some, along with movement of various kinds, she has brought together surprises, colour, props, audio, and footage to produce a portrait of Senior that ultimately is one of the most moving works of dance I have seen. Lea and Senior begin the work sitting on chairs sharing a variety of gestures. They move on to watch film footage together, and they listen as Senior discusses her favourite things. The props we noticed on two small tables as we entered the space are gathered up by Lea and given to Senior to wear and hold—a gorgeous pink hat and a pink sculpture of a cockatoo among them—as Senior tells us what she loves, what is her favourite colour and the bird she likes best. And, what seem at the beginning of the show to be pink decorations tucked inside the neckline of the black outfits they both wear, turn out to be pink rubber gloves. Senior likes washing up! Senior announces that she is learning Reggaeton, a kind of Latin American Hip Hop, and she and Lea dance together. More dancing and more conversation follow. The text of the conversation, which is played over the footage, is extraordinary. It is Senior’s own, hesitant voice and occasionally our expectations are shattered. A discussion of how Down Syndrome affects those who live with it is followed by sentences such as ‘I feel fabulous!’ As the work ends we watch Senior, dressed in beautiful clothes, strolling through a Canberra landscape. Feeling fabulous; looking fabulous. 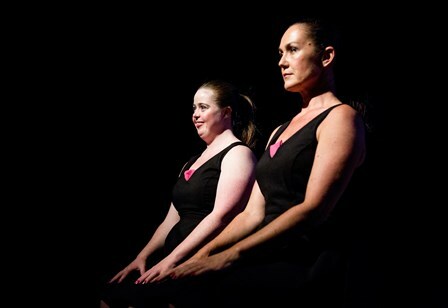 This one-off performance at Belconnen Arts Centre was in celebration of the International Day of People with a Disability. But what Lea and Senior showed was that living with a disability does not remove a person’s humanity. No wonder we were reduced to tears at times during this very moving work. For her unwavering commitment to, and focus on making, directing and promoting dance in the ACT, in particular for the inclusiveness that characterises her work and for her charismatic leadership of the inaugural BOLD Festival in March 2017. 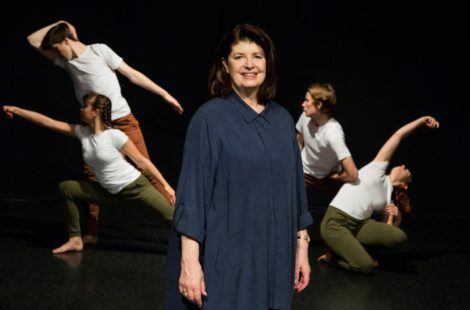 Over the past decade, Canberra-based dancer, choreographer and director, Liz Lea, has galvanised dance audiences in the ACT with her commitment to developing their expectations about what dance is, who can perform it and where it can happen. Her work is distinguished by its inclusiveness. She works with artist of all ages, of varying abilities, and of all ethnic groups and she makes sure she acknowledges the traditional custodians of the land on which her choreography is being performed. 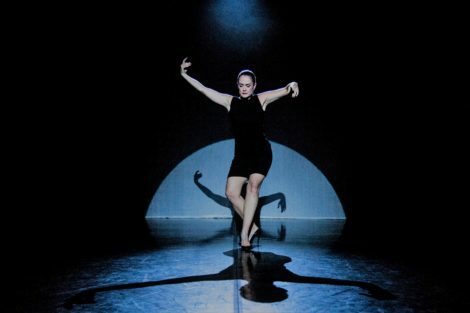 In 2017 she made a major contribution to Canberra’s dance culture by presenting, without any external funding, the BOLD Festival, which took place in the ACT over three days in March. This venture offered an exceptionally varied program of lectures, demonstrations, films and performances. Participants and audience members represented a wide range of arts backgrounds and dance genres and came from across the country for this exceptional initiative. The festival took advantage of Canberra’s wealth of venues for presentation and performance, including the National Film and Sound Archive, the National Library of Australia, the National Gallery of Australia, the National Portrait Gallery, and Gorman & Ainslie Arts Centre. 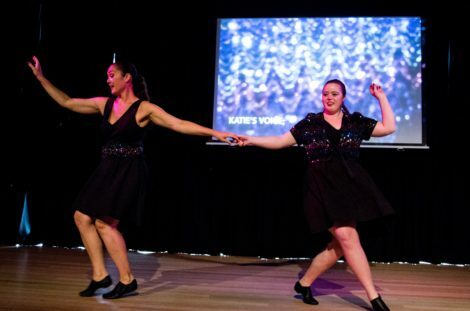 Lea’s own performance and choreographic activities in 2017 have included her work That extra ‘some, performed as part of Escalate a mentoring program for ACT-based young people, of which Lea is a primary mentor. In That extra ‘some Lea worked with Down Syndrome dance artist Katie Senior, which required Lea to develop a new approach to choreography. In addition, in 2017 Lea performed in India Meets, a program that she initiated to bring to a close an Australian tour by acclaimed British-Indian dancer Seeta Patel. In yet another example of Lea’s commitment to developing an ACT dance culture, her India Meets program included dance performances from Canberra-based Indian practitioners. Lea has also presented small works around the city as part of various special events for 2017 including during Dance Week and Science Week. 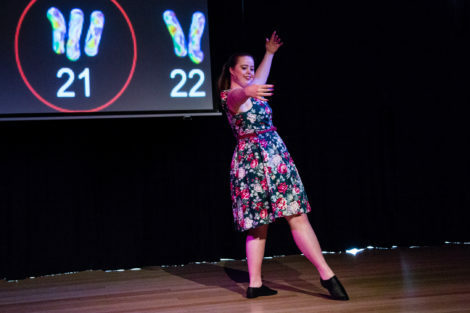 Throughout the year she has continued her ongoing interest in presenting dance as an aid to understanding scientific processes with the development of schools’ programs concerning coral bleaching on the Great Barrier Reef. In 2017 Lea was the recipient of an Australian Dance Award for Outstanding Achievement in Community Dance. Her unwavering commitment to, and focus on making, directing and promoting dance has put the spotlight on the ACT and moved the Territory into a position where it can now claim to have a truly vibrant and unique dance culture. Lea is currently working on a new solo show, RED, scheduled for showing in 2018. In October the Canberra Theatre Centre released its ‘Collected Works 2018’. Canberra dance audiences will have the pleasure of seeing Australian Dance Theatre’s The Beginning of Nature, which will open its Australian mainstage season in Canberra on 14 June 2018. 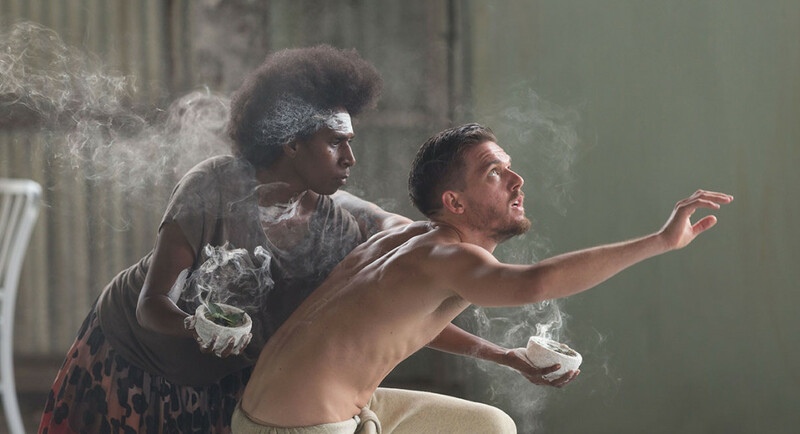 Canberra Theatre Centre’s program also includes a season of AB [Intra] from Sydney Dance Company and Dark Emu from Bangarra Dance Theatre and, as part of the Canberra Theatre’s Indie program, Gavin Webber and Joshua Thomson will perform Cockfight. The irrepressible Eileen Kramer was in Canberra recently. She made a fleeting visit to have a chat with Ken Wyatt, Minister for Aged Care, about funding for a project she is planning for her 103rd birthday in November. 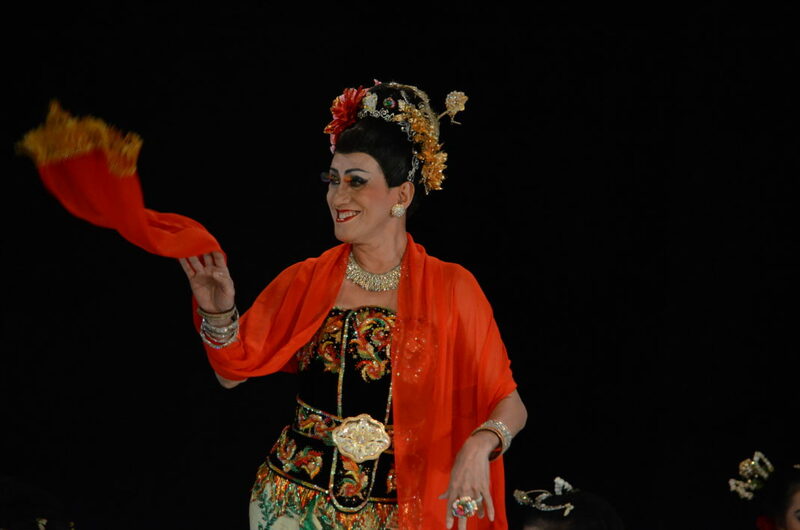 Kramer will perform A Buddha’s wife, a work inspired by her visit to India in the 1960s. 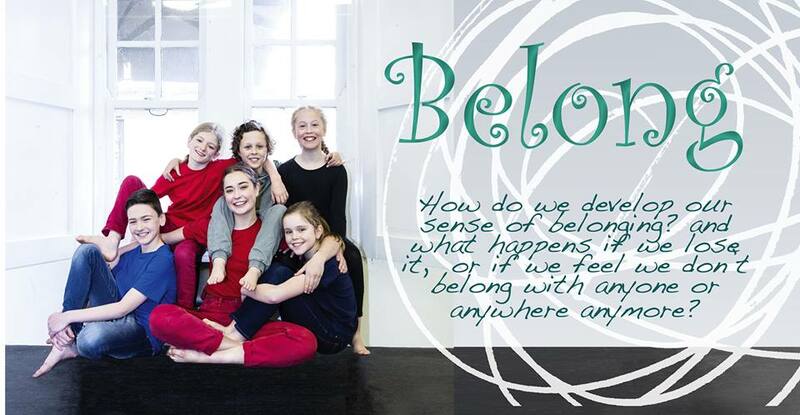 It will be part of a project (The Now Project) featuring 10 dancers and co-produced by choreographer/film-maker Sue Healey. Read about the project and listen to Kramer and Healey speak briefly about it on the crowd funding page that has been set up to help realise the project. It was a thrill to see that Australian Dance Theatre’s artistic director, Garry Stewart, is the recipient of a 2017 Churchill Fellowship. Stewart will investigate choreographic centres in various parts of the world including in India, France, the Netherlands, the United Kingdom, the United States and Canada. Then, artsACT has announced its funding recipients for 2018 and, unlike last year’s very disappointing round, dance gets some strong recognition. Alison Plevey’s Australian Dance Party has been funded to produce a new work Energeia, Canberra Dance Theatre has received funding to create a new piece for its 40th anniversary, Liz Lea has funding also to create a new work, and Emma Strapps has been funded for creative development of a work called Flight/less. Also in the ACT, Ruth Osborne has been short-listed as the potential ACT Australian of the Year for 2018. 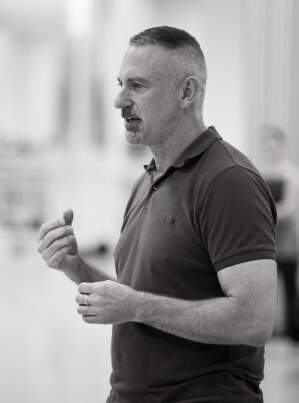 Osborne is artistic director of QL2 Dance and has made a major contribution to youth dance in the ACT. She was a 2016 recipient of a Churchill Fellowship and has recently returned from studying youth dance in various countries around the world. Then, from Queensland Ballet comes news of some welcome promotions. 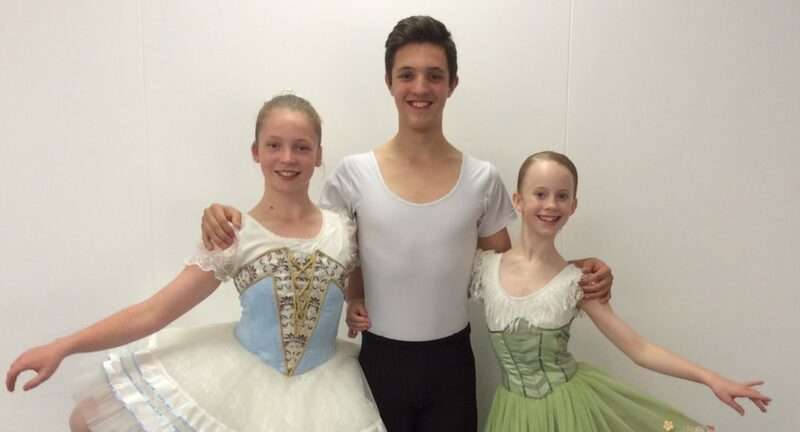 Lucy Green and Camilo Ramos are now principal artists, and Mia Heathcote has been promoted to soloist. For a much fuller account of the life and work of Jean Stewart than I was able to give see Blazenka Brysha’s story at this link, as well as an interesting comment from her about one of Stewart’s photos of Martin Rubinstein.